Guns N' Roses members have traditionally taken their drinks hard rather than soft. However, if, as predicted, the band's long awaited new album does see the light of day on 23 November, people across America could be toasting its arrival with Dr Pepper. Back in March, the drinks company claimed that it would give away a can of its fizzy brew to everyone in the US should Chinese Democracy be released in 2008, and a spokesperson has now indicated that it may be prepared to honour this deal. Commenting on the potential launch, Dr Pepper's vice president of marketing Tony Jacobs said: "We're waiting to hear about Chinese Democracy just like all the other GN'R fans. But if the rumours are true, we're putting the Dr Pepper on ice." Quite how the cans would be distributed remains unclear, but under the terms of the original offer, Slash would be the only American not to get a free drink. 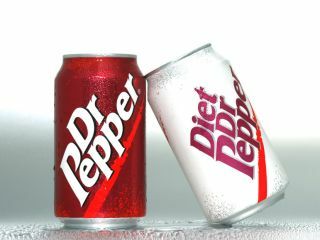 Dr Pepper originally said that guitarist Buckethead wouldn't get a can, either - he also being an ex Guns N' Roses member - but because some of his performances appear on the new record, Axl Rose has kindly agreed to share.